Located on Perrin Street, next door to a block of flats, Hyde test centre is relatively small in size. 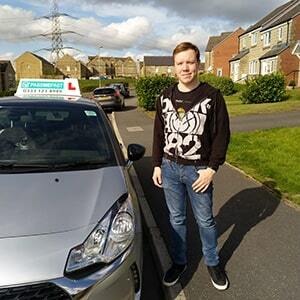 Based in a quiet residential estate, Hyde has hundreds of learners head to its steps for driving tests each month. If you're one of the many learners taking your test here, we'd recommend you get to know it a bit better. You can do so by reading up on directions, pass rates, test routes and much more about Hyde below. Barely a stone's throw from the centre of Hyde itself—and the busy M67—Hyde test centre is ideally located and accessible for all learners living in and around the Tameside area. It couldn't be easier to arrive there, simply use these directions and off you go. Please note that Hyde test centre doesn't have a car park—meaning you'll have to park on nearby residential streets. You’ll no longer be able to find up-to-date Hyde test routes because the DVSA stopped publishing test routes. Before you start panicking, relax! You can still predict what might show up by looking at videos of Hyde test routes on YouTube or by downloading our sample Hyde driving test routes. There's absolutely nothing to worry about, as the test route will just be testing you on the same skills you've worked on in your lessons. In fact, your instructor will have likely taken you on the roads that will feature on your test route. As you can see, Hyde test centre has performed well in the past five years—well above the national average of 47%. Not too impressed? Bear in mind that it’s all down to your own personal effort. 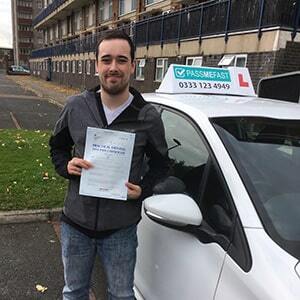 Keep working hard in your driving lessons and you’ll have every chance in the world of getting your licence. What If I Can't Go To Hyde? Hyde test centre isn’t the only practical test centre in Greater Manchester. So if you can’t head to Hyde, you can always head on over to Bredbury test centre. You’ll get the results for your test as soon as you get back to Hyde test centre. You'll get the chance to see which driving test faults you made when the examiner shows you your feedback sheet. 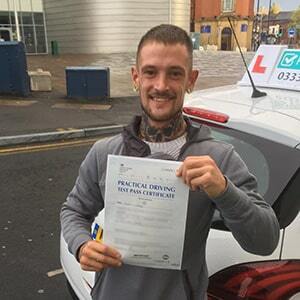 If you're successful, you'll be given a test pass certificate and you’ll hand over your provisional in order to send off for your new licence. Many students fail their practical test, so you shouldn’t beat yourself up over it. You can use this as a way to improve your driving skills—examiners give vital feedback when you fail, so make sure you use it in time for your next test. 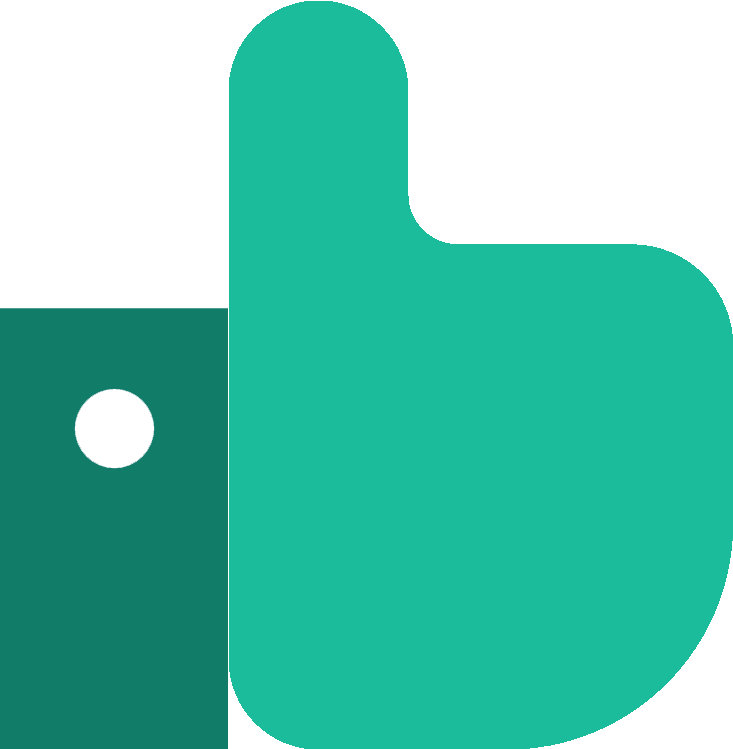 PassMeFast can get you booked back in quickly by fast-tracking your test. To get booked in, simply contact us via our website or call us on 0333 123 4949. PassMeFast is different to other driving schools. Instead of spreading your lessons out over months, PassMeFast offers intensive courses where you can learn to drive in a matter of days. This means you can constantly build up your knowledge, so you’re fully prepared for your test. We’ve even got fast-track practical tests so you don’t have to wait too long. And with our experienced instructors, you’ll learn all the important skills you need to pass your practical. Take a look at our course prices and give us a call on 0333 123 4949 to get booked in. Or book a course online yourself if you know exactly what you want. Good choice for an intensive course. Absolutely brilliant and would highly recommend. Helped me pass first time. PassMeFast are fantastic—within a short space of time everything was arranged and I was driving.